A couple of years ago, Rattle and Peter Sellars gave us a memorable Bach St Matthew Passion at the Proms, a performance which shared two cast members with the present one (Kožená and Gerhaher). This time, they tackled Debussy’s elusive Pelléas et Mélisande, an opera they had first worked on together in the early 1990s in Amsterdam. Bach and Debussy are not so removed as at first glance, given the ritualistic slant Sellars brings out in both scores. But before anything, there was a brief speech from Sir Simon acknowledging the passing of Pierre Boulez, a twentieth-century giant who Rattle described as “funny, wise, generous”. The performance was, inevitably dedicated to Boulez – and who could ever forget Boulez’s CBS recording of this very piece, or the multitude of fine performances he conducted with the LSO: Boulez conducted them at least 120 times between 1967 and 2008. Even before that we, the audience, might have been forgiven for being fascinated by the variously coloured light sticks strategically scattered around the stage. The playful part of me wanted to believe that they were light sabres in Debussian tribute to the recent Star Wars film, but I’m sure that’s not true. A box towards the front of the stage was multi-functional, ending its journey as Mélisande’s deathbed. Given the placing, the orchestra literally became the forest. Action took place, in addition, both in front of and behind the players. The orchestral layout, too, was unorthodox, with the mid-range strings (second violins and violas) nearest to the audience, side on; they cradled the first violins, resulting in a beautiful, rich sheen of sound. The blending of the woodwind contributions, too, was magnificently managed. Long arcs of melody appeared with Heaven-sent inevitability. Interpretatively, Rattle shaped the piece beautifully, ensuring the Wagnerian shadows were inescapable. More than the near-quotes, it was the palpable atmosphere of Parsifal Act III that brought extra dimensions to the experience. The final act was masterfully managed, the close reverberating on and on in the listener’s consciousness. The cast was well-nigh impeccable. True, Kožená is no slip of a girl, and her presumably deliberate overacting was somewhat distracting at times, but vocally she soared to the sublime and on a number of occasions was the very definition of radiance. There was precious little innocence on display here, more a fully sexualised woman perfectly capable of manipulation. The Golaud, Gerald Finley, was superb. His French was perfect, but it was his dramatic grasp and his way of illuminating the vocal lines that seemed paramount amongst his qualities. The move from lover to violent animal is powerful indeed, his frustration in the fifth and final act completely believable. More, the chemistry between Kožená and Finley was hyper-intense. Christian Gerhaher’s Pelléas was defined by a voice that seemed to be infinitely expressive and which remained undimmed, rising to the challenges of the fourth act easily. Hovering over all of this was the dark Arkël of the superb Franz-Josef Selig, an assumption dripping with stage presence. Bernarda Fink was magnificent as Geneviéve, her voice an inviting velvet. The mobile phone-toting Shepherd – part border guard to the “immigrant” sheep? – was beautifully taken by Joshua Bloom, who excelled later also as the Doctor. 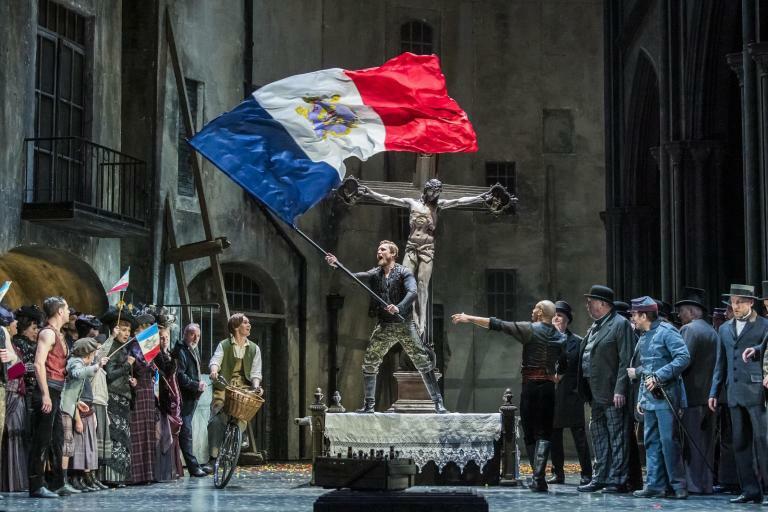 Maybe the real star of the show, though, was Elias Madler from the Tölzer Knabenchor as Yniold, whose dramatic grasp, superb tuning, fresh voice and, at one point, impeccably timed sprint across the stage, left an indelible impression. This was a magnificent achievement. Despite the excellence of the cast, it was Rattle’s understanding of the score that weaved Debussy’s fragile web so impressively. There will be an LSO Live release of this in due course – this review is of the second of two performances. Surely the recording will be an essential purchase.